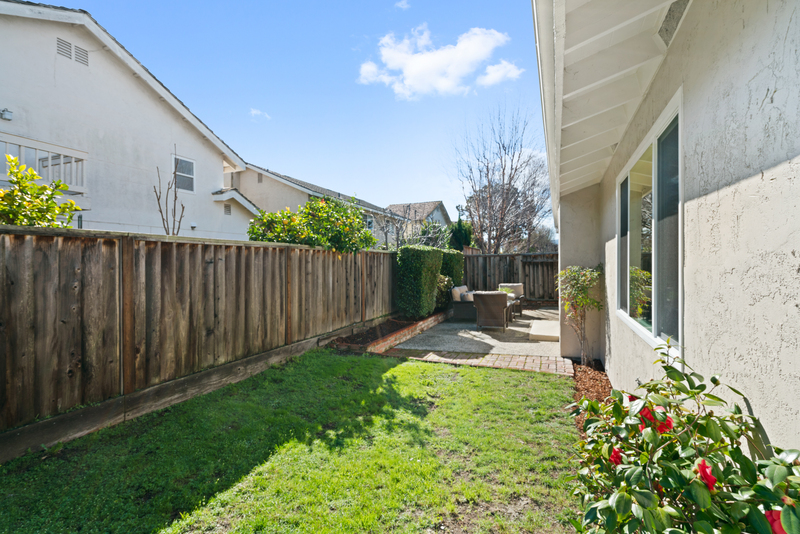 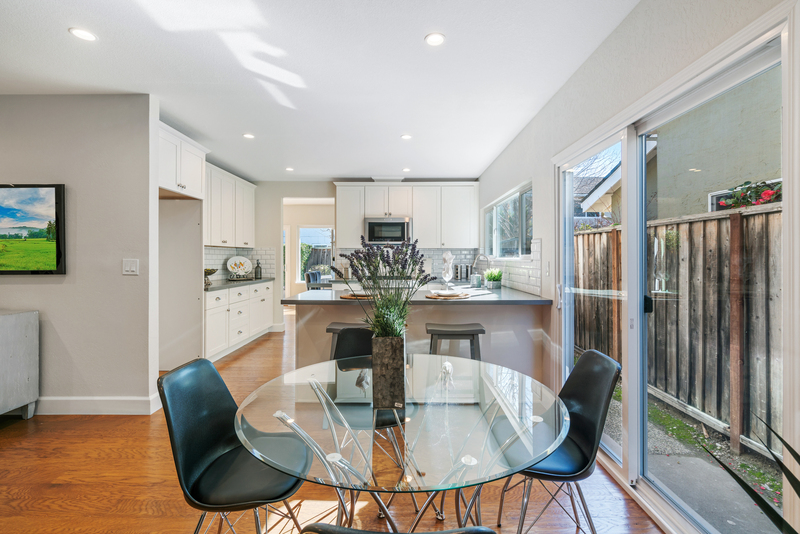 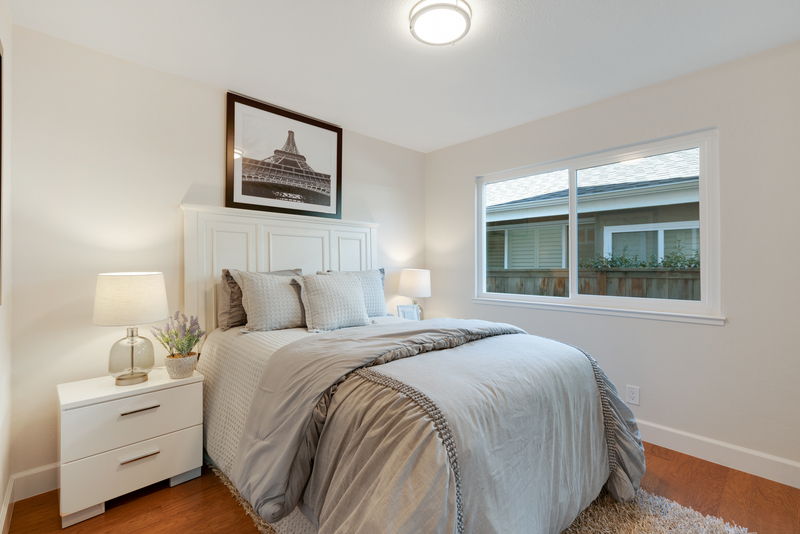 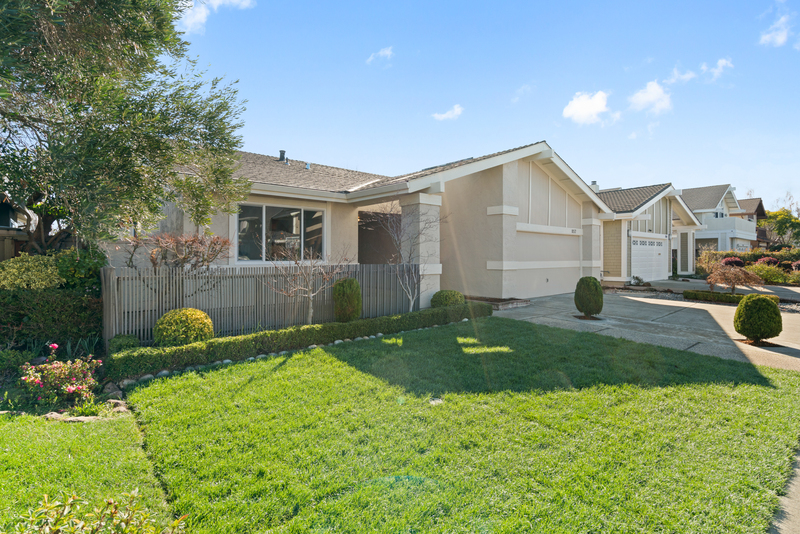 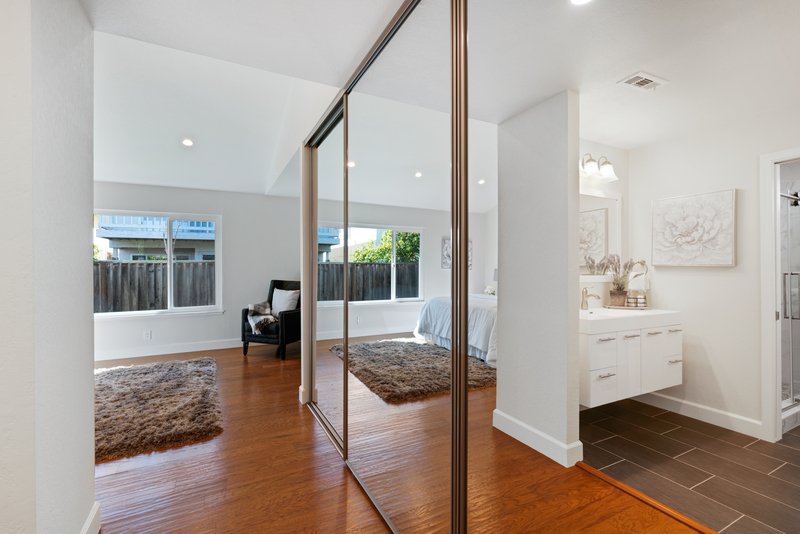 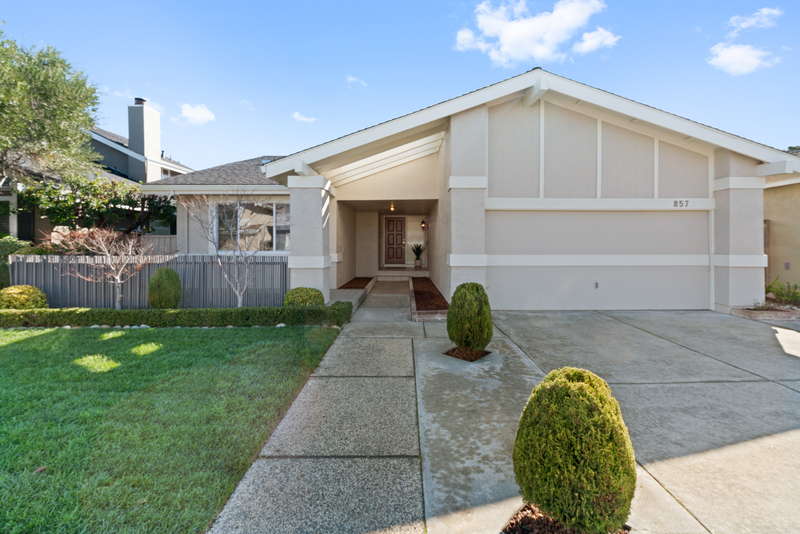 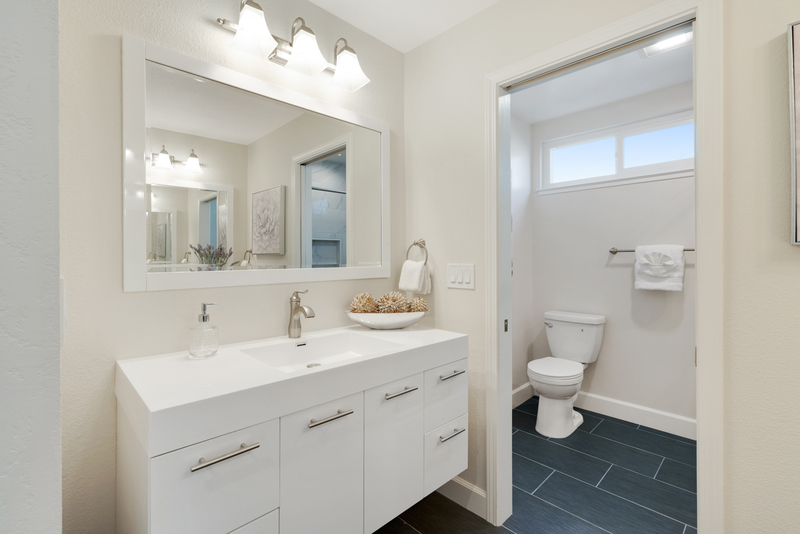 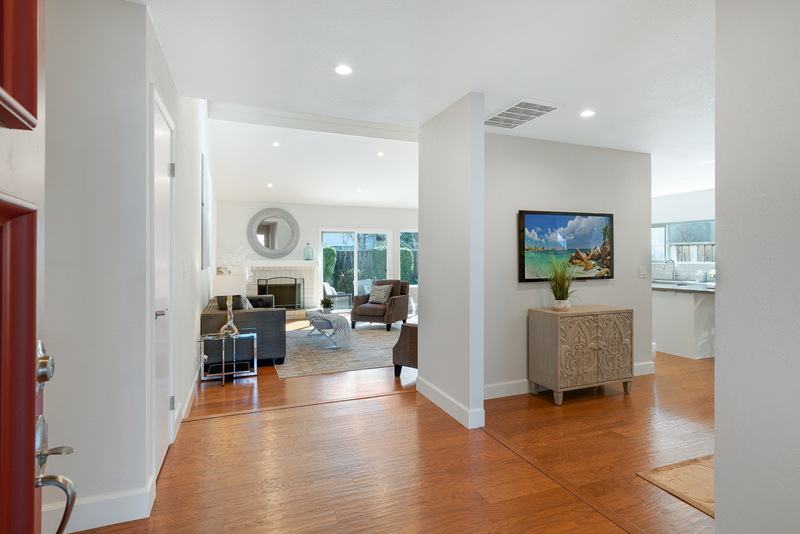 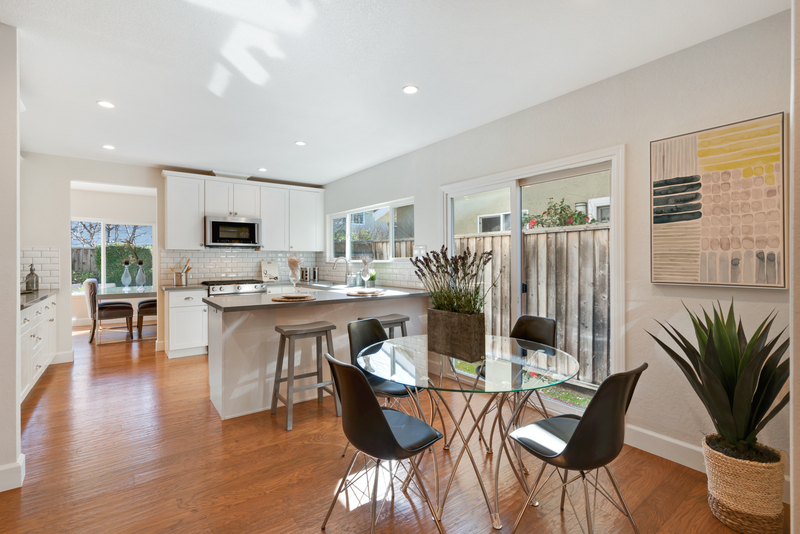 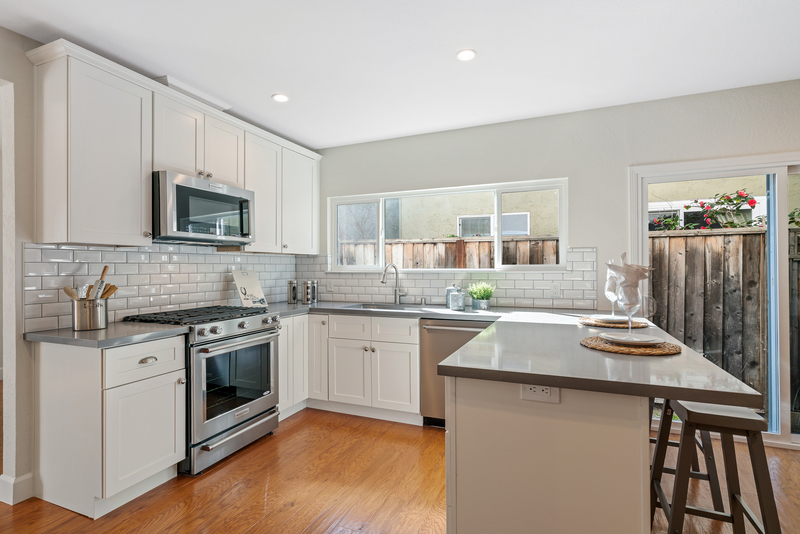 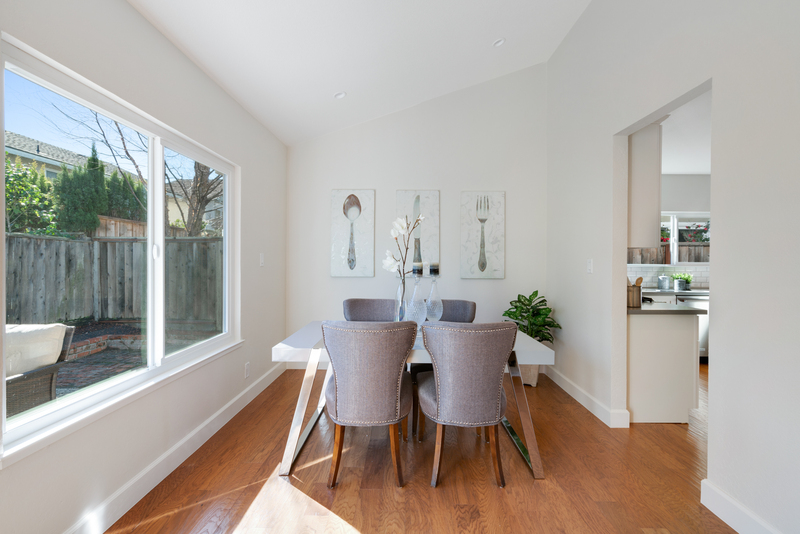 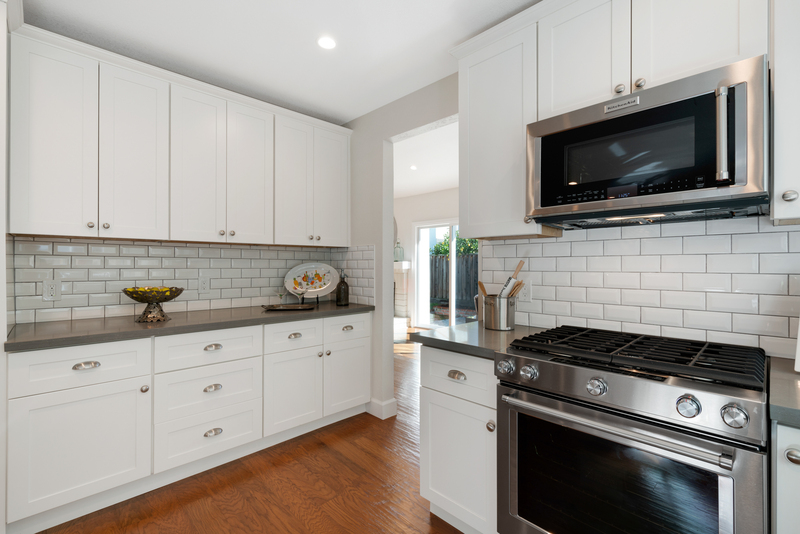 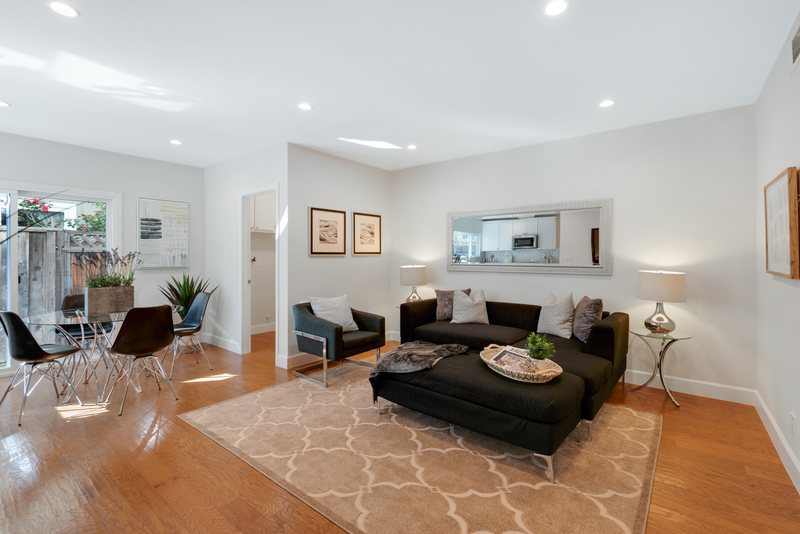 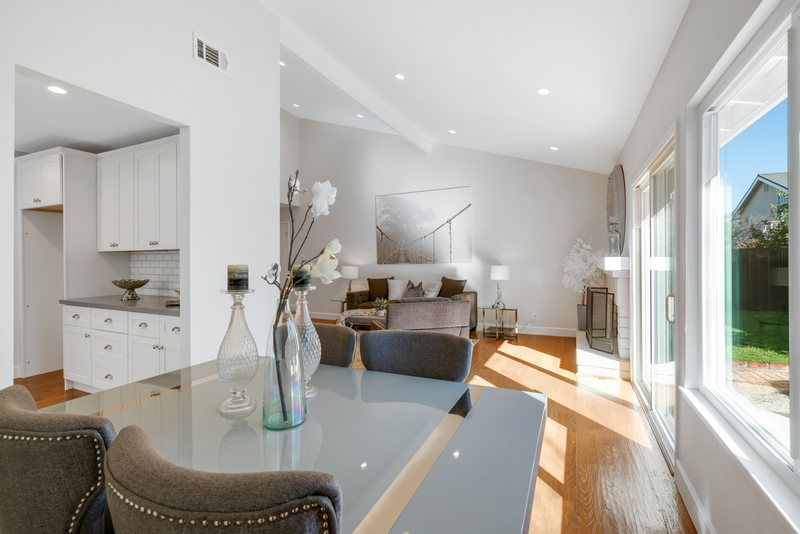 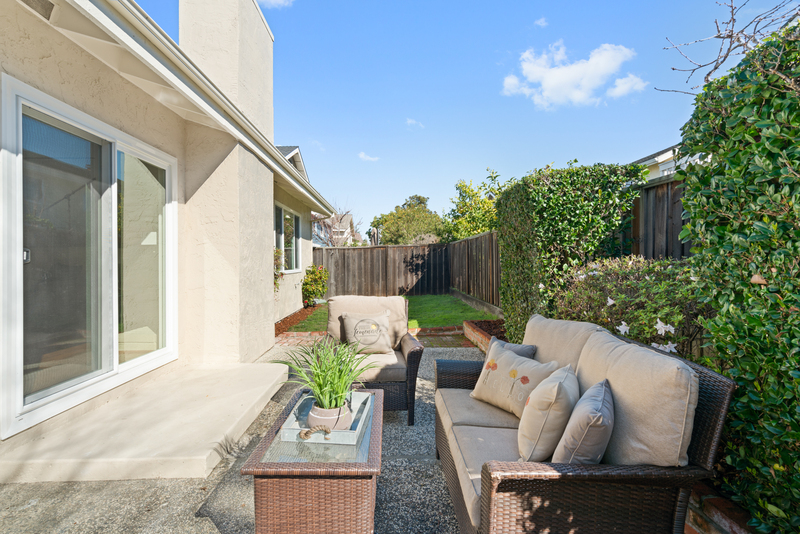 This stunning remodel is located in a tranquil Foster City neighborhood, just a short walk to numerous parks and recreation areas, as well as shopping and dining at the Edgewater Place Center. 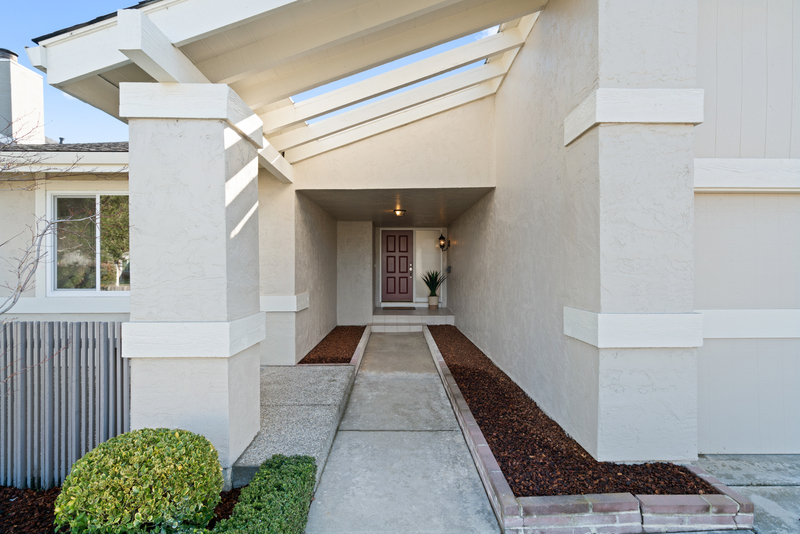 A well manicured front yard and shaded walkway welcome you into the home, which features all new wood flooring, recessed lighting, and bright and open living spaces perfect for entertaining. 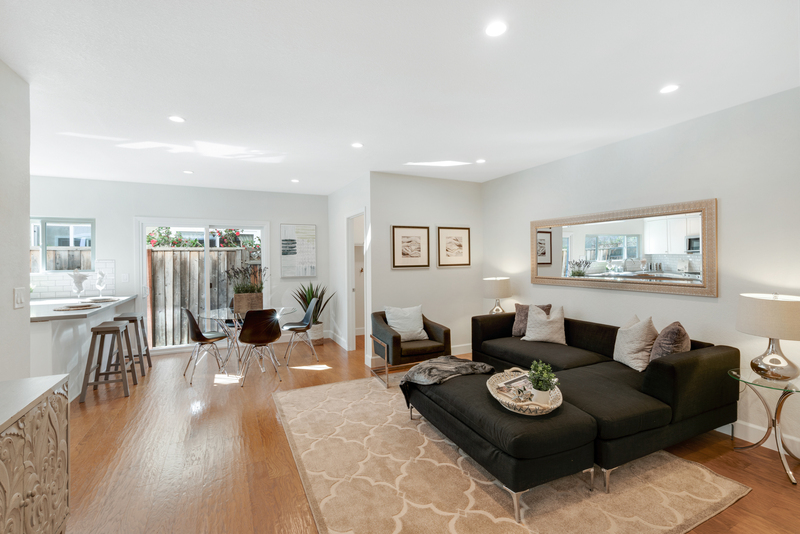 The family room shares an open floorplan with the tastefully appointed kitchen, which boasts quartz countertops and pristine white cabinets against a subway tile backsplash. 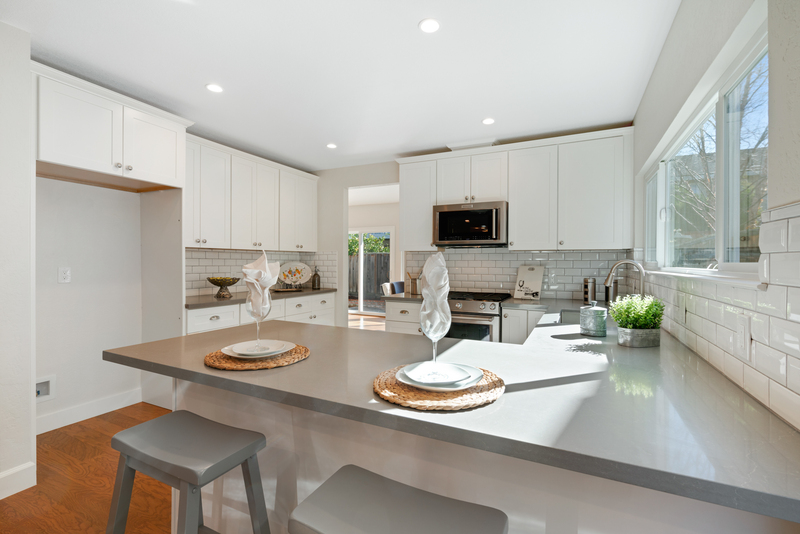 All new stainless steel appliances (including 5-burner stove) ensure your kitchen performs at the highest level, and the eat-in peninsula countertop allows guests to keep you company while dinner is being prepared. 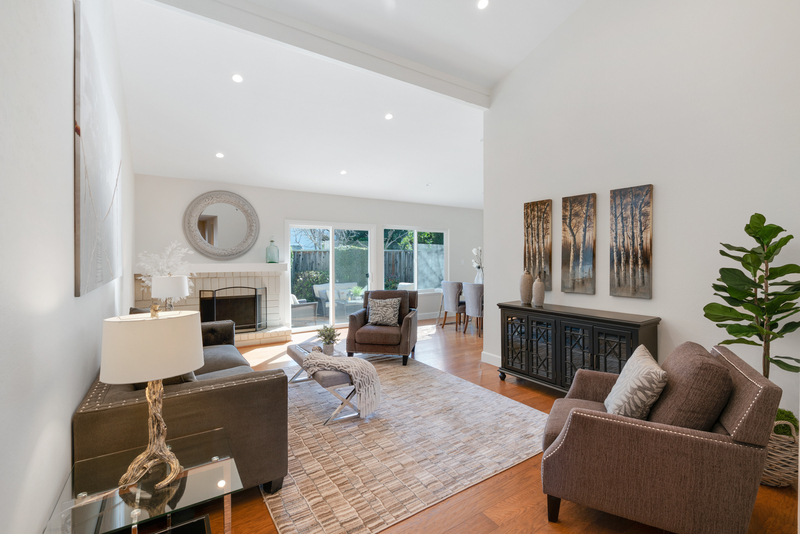 After dinner, retreat to the living room, where the fireplace and vaulted ceilings make for a relaxing and breathable space to unwind. 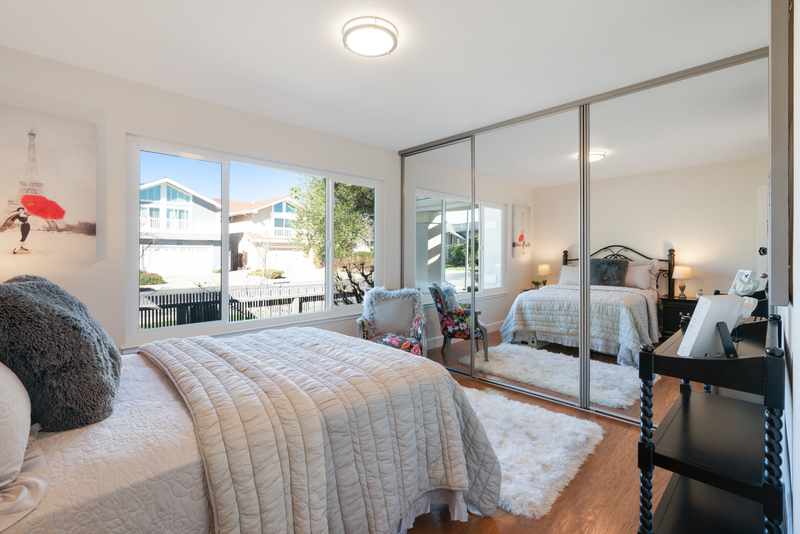 The luxurious master bedroom also features dramatic vaulted ceilings, as well as a gorgeous ensuite bathroom with dual floating vanities and a large walk in shower with custom tile finish and top of the line sliding doors. 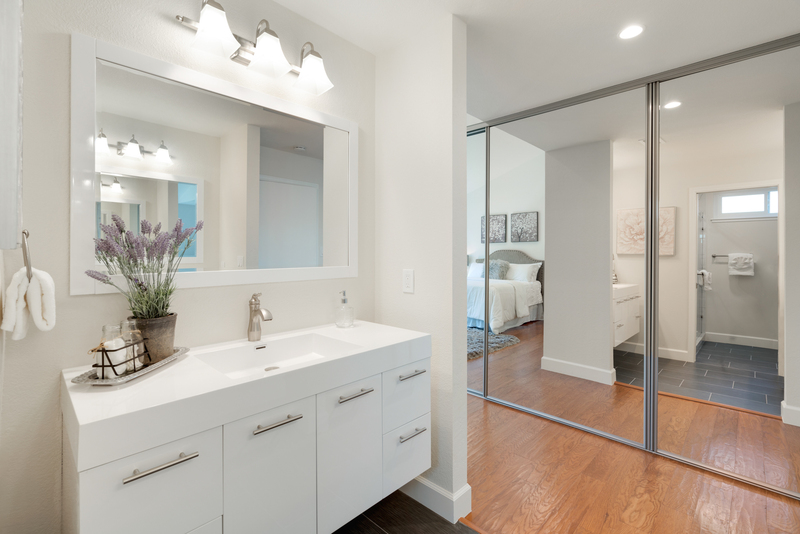 All 3 bedrooms enjoy new recessed lighting, ample natural light, and floor-to-ceiling mirrored closet doors with a sleek brushed nickel finish. 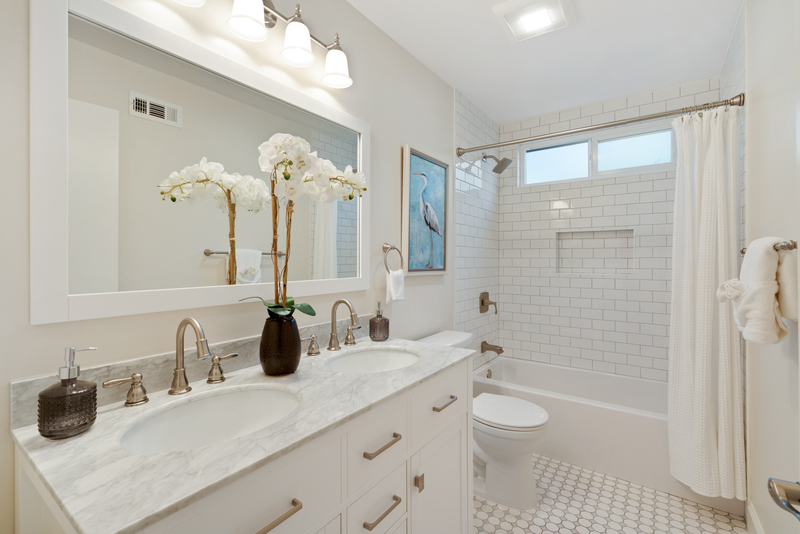 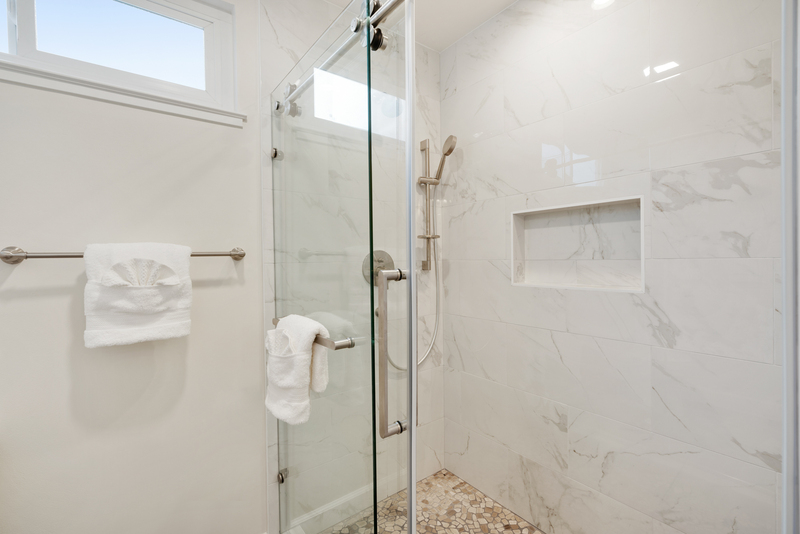 Beautiful marble vanities and immaculate tile flooring highlight both hall bathrooms, plus his/her sinks in the full. 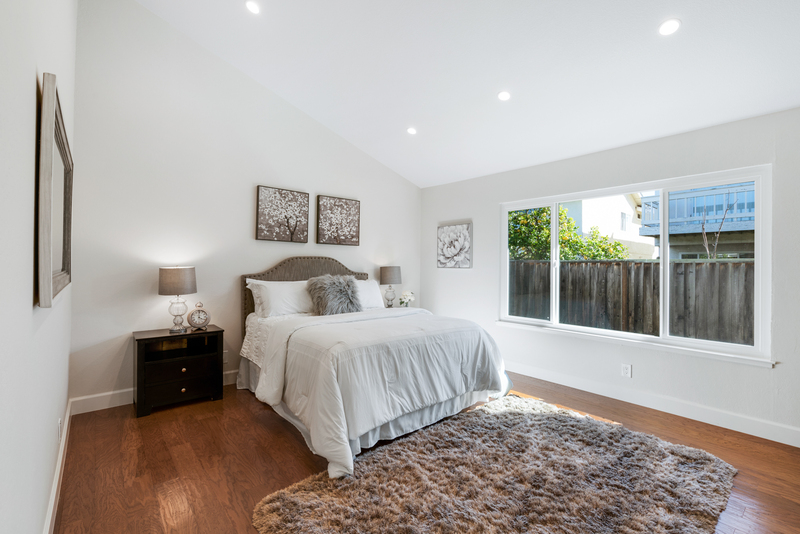 The home is also equipped with a brand new heating system and dual pane windows, plus a laundry room and large attached 2-car garage. 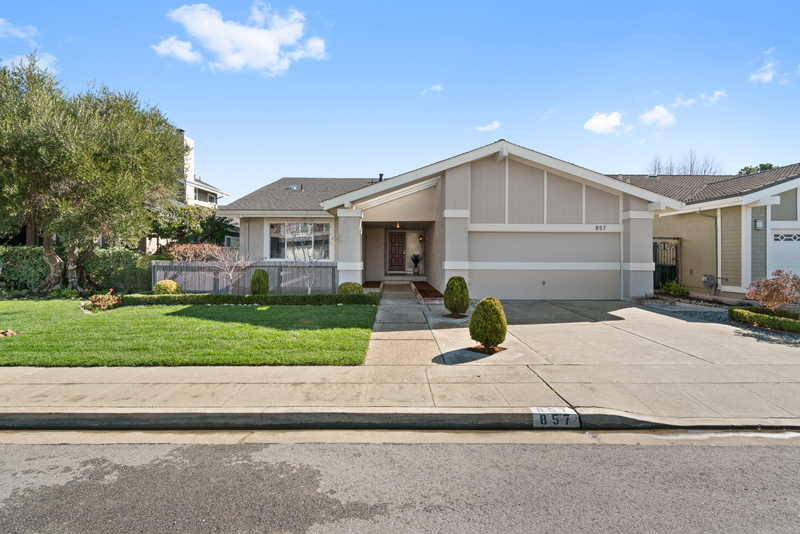 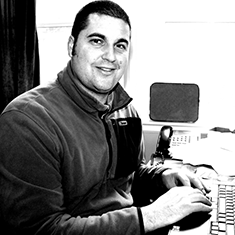 Served by highly rated Foster City schools, and located near several major employers such as Gilead, VISA and Oracle.